Maybe the coolest music we've ever heard from Ethiopian keyboard legend Hailu Mergia – a late 70s session that has his organ lines sounding even groovier than ever, on some sweet tracks that also bring in a fair bit of funk to the grooves! 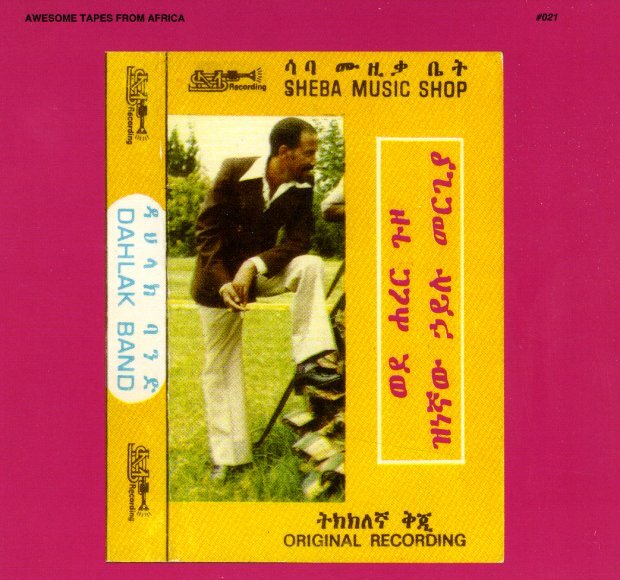 The style is much more in an Ethiopiques vein than some of Mergia's later music – with his own floating keyboard lines wrapped nicely around bolder notes on trumpet and sax, and some additional electric piano too – all moving in this moody, soulful territory that's really wonderful! Most of the record is instrumental, but there's some occasional vocals too – more in a chorus mode that goes along with the grooves beautifully – on titles that include "Bati Bati", "Embuwa Bey Lamitu", "Wede Harer Guzo", "Minilbelsh", "Anchin Kifu Ayinkash", "Sintayehu", and "Yenenesh Wey". © 1996-2019, Dusty Groove, Inc.